The fact and fiction of the Amazing Kreskin. The best illusionists are natural confidence men who use the force of a good story to keep their marks off balance and unable to tell fact from fiction. 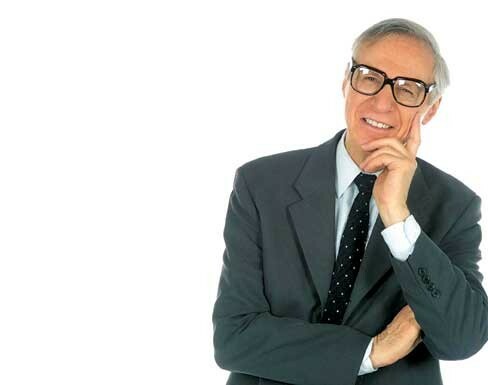 For the Amazing Kreskin — a pop-culture phenomenon whose long career as the world's foremost mentalist peaked in the 1970s during the golden age of television talk shows — the line dividing reality and perception has never been distinct. Kreskin, who's appearing at the Lyric Theatre in Oxford this week, has been spoofed by Johnny Carson, essayed by John Malkovich, and referenced, parodied, and ripped off so many times by so many people in so many different media his name is practically a synonym for extrasensory perception, prophecy, and mind reading. Kreskin works alone. "I love children and I love dogs, but in this business you pay a price," he's said. And from the onset of his career the mentalist has offered large sums of money to anyone who can prove that he's ever used an electronic device or worked with a secret partner. Kreskin has never claimed to possess supernatural powers, although he was certainly inspired by characters with abilities far beyond those of the average man. "I like Superman and Captain Marvel," Kreskin said in a telephone interview from his home in New Jersey. Comics, he thinks, are best when there's just one hero. "When it's about a team, that tends to imply the individual heroes have weaknesses and that doesn't appeal to me," he said. Kreskin, born George Joseph Kresge, knew he wanted to pursue magic and the mentalist's arts when he was 5 after a relative gave him his first Mandrake the Magician comic. "That was the turning point in my life," Kreskin said, remembering Lee Falk's influential comic-strip magician who used hypnosis to fight supercrime. Kreskin met Falk once at Sardi's restaurant in New York. "It's one of the most memorable moments of my life," Kreskin said. "In all the years he'd been writing comics, Falk said I had come the closest to epitomizing his character." Like the superheroes who inspired him, Kreskin has an origin story. When he was 9, one of his teachers introduced the class to the game of "hot" and "cold." He was jealous of a friend chosen to find a hidden bean bag with the aid of classmates who called out "hot" and "cold" to let her know if she was getting closer or farther away. "I was tremendously disappointed," he admitted. But he was already planning to play a game with his brother after school. That afternoon, the two Kresge boys visited their grandparents. A penny was hidden in the window of an upstairs room for Kreskin to find, but the young would-be magician had already located it before realizing he hadn't finished explaining the rules of the game to his brother. Nobody had told him "hot" or "cold." That story is reflected in Kreskin's signature trick. During every performance, his fee is hidden somewhere in the audience and if he fails to locate his money, the full amount is donated to charity. The money has been stuffed in baked chickens, tucked into shoes, and hidden in bras. "One time at the University of Illinois, I walked up to a gentleman and asked him to open his mouth," Kreskin recalled. "There was nothing there. But something in my mind told me to address this gentleman again. I was uncomfortable, but said, 'I've got to ask you something. Does this have something to do with the roof of your mouth?' He took out his upper plate [of his dentures] and gave me the check." Kreskin is aware of the unique position he occupies in modern pop culture. "I don't want to sound egotistical, but who would have dreamt that so much of my life and what I do would have crept into the jargon," he said. "My name is brought up often during sports events and politics. Somebody makes a prediction, and somebody else asks, 'Who are you, the Amazing Kreskin?'" Kreskin denies that his tricks are of a psychic origin, then seems to contradict himself by implying that they are. And as a public prognosticator, he's scored some spectacular hits and wild misses. But the record doesn't matter as much as the story, and the story continues to grow. "Mike McCarty is a horror writer," Kreskin said. "Now he's written a vampire satire called Midnight Snack. And guess who he has going out at night investigating the cities he visits to see where the vampires are? That's right, yours truly. Not that I'll be doing that in Mississippi." Friday, June 15th, at 5 and 8 p.m. $5-$15. Call (662) 234-5333 for more information.